741k USS LCI(L)-547 and USS LCI(L)-663 landing troops from the 126th RCT of the 32nd Division at Morotai, the northernmost of the Moluccas Islands, 15 September 1944. 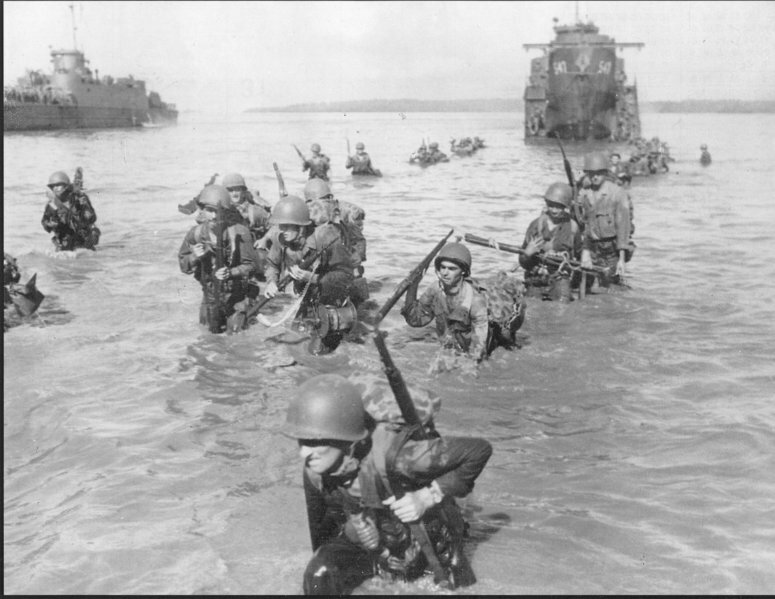 51k USS LCI(L)-547 landing troops at Morotai, 15 September 1944. 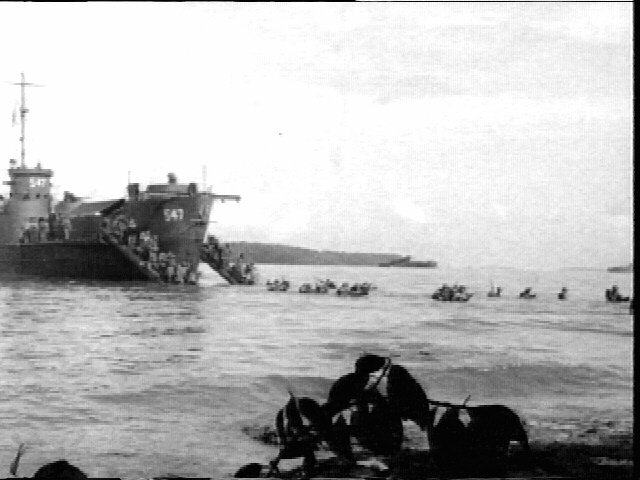 80k USS LCI(L)-547 landing troops at Morotai, 15 September 1944. 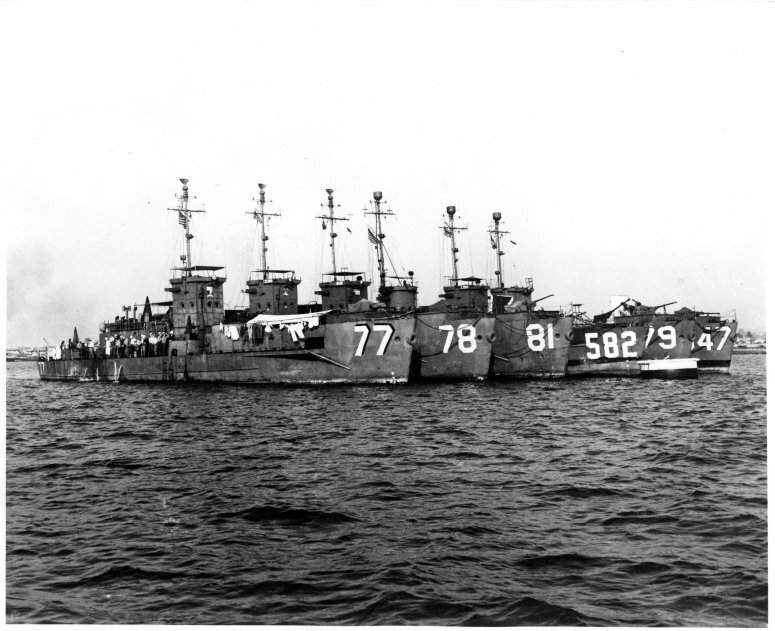 USS LCI(L)-547 grounded 100 yards from the beach and troops struggled ashore in water up to their necks. The LCI to the left in the photo is USS LCI(L)-663.